Domestic tap water can contain various substances which are harmful to pond life, the most dangerous of these being chlorine and chloramine. 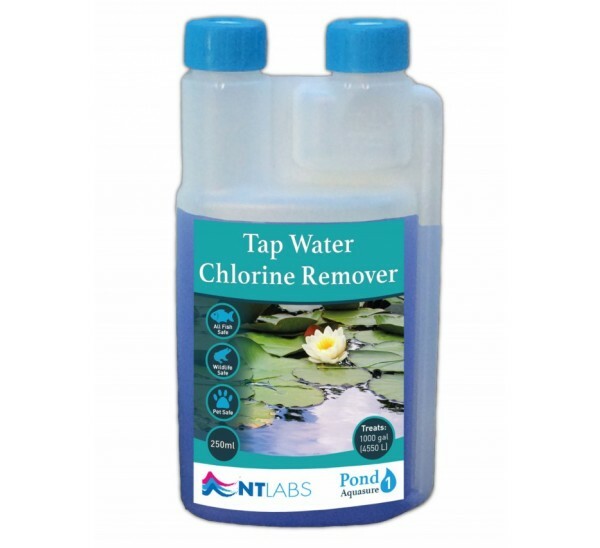 Use Aquasure when you top up your pond or when filling for the first time with tap water to safely neutralise chlorine, chloramine, other halogens and heavy metals toxic to fish. It can also help to reduce shock during transportation. 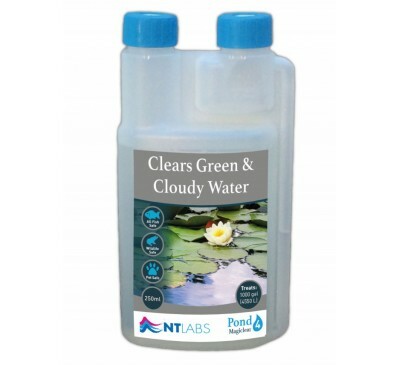 This product is available In 250ml, 500ml and 1L sizes to treat increasing volumes of pond water. Mix in a clean bucket of pond water, and then pour evenly around the pond before topping up/filling with tap water. If refilling using a hosepipe, use enough Aquasure to treat the entire volume of the pond. Alternatively, use Aquasure on smaller volumes of water prior to adding to your pond.